We reviewed the National Academy of Sciences’ (NAS) Fukushima Lessons Learned report on July 30, 2014. As you recall, we were underwhelmed by the recommendations related to nuclear safety culture (SC). Basically, the report said the NRC should maintain a strong SC at the facilities it regulates and maintain the agency’s independence. In addition, the NRC and industry should increase the transparency of their efforts to assess and improve SC. The NAS presentation was one of six made by the external panel. A five-member NRC staff panel reported separately on the agency’s Fukushima-related investigations and activities. Only the NAS presentation mentioned SC; the other presentations focused on plant hardware, off-site equipment, and state and foreign regulatory activities. Bottom line: Given the number of presentations SC did not get short shrift from the Commission. The Commissioners acknowledged SC’s importance but there was no real discussion of the topic. * NRC, “Briefing on the Status of Lessons Learned from the Fukushima Dai-ichi Accident,” meeting transcript (July 31, 2014). ADAMS ML14217A208. This paper* was referenced in a safety culture (SC) presentation we recently reviewed. It was prepared for Canadian offshore oil industry regulators. Although not nuclear oriented, it’s a good introduction to SC basics, the different methods for evaluating SC and possible approaches to regulating SC. We’ll summarize the paper then provide our perspective on it. The authors probably did not invent anything other than the analysis discussed below but they used a decent set of references and picked appropriate points to highlight. The paper provides some background on SC, its origins and definition, then covers the Schein three-tier model of culture and the difference between SC and safety climate. The last topic is covered concisely and clearly: “. . . safety climate is an outward manifestation of culture. Therefore, safety culture includes safety climate, but safety culture uniquely includes shared values about risk and safety.” (p. 11) SC attributes (from the Canadian Nuclear Safety Commission) are described. Under attributes, the authors stress one of our basic beliefs, viz., “The importance of safety is made clear by the decisions managers make and how they allocate resources.” (p. 12) The authors also summarize the characteristics of High Reliability Organizations, Low Accident Organizations, and James Reason’s model of SC and symptoms of poor SC. The chapter on SC as a causal factor in accidents contains an interesting original analysis. The authors reviewed reports on 17 offshore or petroleum related accidents (ranging from helicopter crashes to oil rig explosions) and determined for each accident which of four negative SC factors (Normalization of deviance, Tolerance of inadequate systems and resources, Complacency, Work pressure) were present. The number of negative SC factors per accident ranged from 0 (three instances) to 4 (also three instances, including two familiar to Safetymatters readers: BP Texas City and Deepwater Horizon). The negative factor that appeared in the most accidents was Tolerance of inadequate systems and resources (10) and the least was Work pressure (4). The authors describe different SC assessment methods (questionnaires, interviews, focus groups, observations and document analysis) and cover the strengths and weaknesses of each method. The authors note that no single method provides a comprehensive SC assessment and they recommend a multi-method approach. This is familiar ground for Safetymatters readers; for other related posts, click on the “Assessment” label in the right hand column. A couple of highlights stand out. Under observations the authors urge caution: “The fact that people are being observed is likely to influence their behaviour [the well-known Hawthorne Effect] so the results need to be treated with caution. The concrete nature of observations can result in too much weight being placed on the results of the observation versus other methods.“ (p. 37) A strength of document analysis is it can evidence how (and how well) the organization identifies and corrects its problems, another key artifact in our view. This chapter covers leadership and the regulator’s role. The section on leadership is well-trod ground so we won’t dwell on it. It is a major (but in our opinion not the only) internal factor that can influence the evolution of SC. The statement that “Leaders also shape the safety culture through the allocation of resources” (p. 42) is worth repeating. The section on regulatory influence is more informative and describes three methods: the regulator’s practices, promotion of SC, and enforcement of SC regulations. Practices refer to the ways the regulator goes about its inspection and enforcement activities with licensees. For example, the regulator can promote organizational learning by requiring licensees to have effective incident investigation systems and monitoring how effectively such systems are used in practice. (p. 44) In the U.S. the NRC constantly reinforces SC’s importance and, through its SC Policy Statement, the expectation that licensees will strive for a strong SC. Promoting SC can occur through research, education and direct provision of SC-related services. Regulators in other countries conduct their own surveys of industry personnel to appraise safety climate or they assess an organization’s SC and report their findings to the regulated entity. ** (pp. 45-46) The NRC both supports and cooperates with industry groups on SC research and sponsors the Regulatory Information Conference (which has a SC module). Regulation of SC means just what it says. The authors point out that direct regulation in the offshore industry is controversial. (p. 47) Such controversy notwithstanding, Norway has developed regulations requiring offshore companies to promote a positive SC. Norway’s experience has shown that SC regulations may be misinterpreted or result in unintended consequences. (pp. 48-50) In the nuclear space, regulation of SC is a popular topic outside the U.S.; the IAEA even has a document describing how to go about it, which we reviewed on May 15, 2013. More formal regulatory oversight of SC is being developed in Romania and Belgium. We reported on the former on April 21, 2014 and the latter on June 23, 2014. This paper is written by academics but intended for a more general audience; it is easy reading. The authors score points with us when they say: “Importantly, safety culture moves the focus beyond what happened to offer a potential explanation of why it happened.” (p. 7) Important factors such as management decision making and work backlogs are mentioned. The importance of an effective CAP is hinted at. The paper does have some holes. Most importantly, it limits the discussion on influencing SC to leadership and regulatory behavior. There are many other factors that can affect an organization’s SC including existing management systems; the corporate owner’s culture, goals, priorities and policies; market factors or economic regulators; and political pressure. The organization’s reward system is referred to multiple times but the focus appears to be on lower-level personnel; the management compensation scheme is not mentioned. Bottom line: This paper is a good introduction to SC attributes, assessments and regulation. * M. Fleming and N. Scott, “A Regulator’s Guide to Safety Culture and Leadership” (no date). ** No regulations exist in these cases; the regulator assesses SC and then uses its influence and persuasion to affect regulated entity behavior. On August 27, 2014 the Defense Nuclear Facilities Safety Board (DNFSB) convened the second of three hearings “to address safety culture at Department of Energy defense nuclear facilities and the Board’s Recommendation 2011–1, Safety Culture at the Waste Treatment and Immobilization Plant.”* The first hearing was held on May 28, 2014 and heard from industry and federal government safety culture (SC) experts; we reviewed that hearing on June 9, 2014. The second hearing received SC expert testimony from the U.S. Navy, the U.S. Chemical Safety and Hazard Investigation Board and academia. The following discussion reviews the presentations in the order they were made to the board. Adm. Norton's (Naval Safety Center) presentation** on the Navy’s SC programs was certainly comprehensive with 32 slides for a half-hour talk (plus 22 backup slides). It appears the major safety focus has been on aviation but the Center’s programs also address the afloat communities (surface, submarine and diving) and Marines. The programs make heavy use of surveys and unit visits in addition to developing and presenting training and workshops. Not surprisingly, the Navy stresses the importance of leadership, especially personal involvement and commitment, in creating a strong SC. They recognize that implementing a strong SC faces a direct challenge from other organizational values such as the warfighter mentality*** and softer challenges in areas such as IT (where there are issues with multiple systems and data problems). Program strengths include the focus on leadership (leadership drives climate, climate drives cultural change) and the importance of determining why mishaps occurred. The positive influence of a strong SC on decision making is implied. Program weaknesses can be inferred from what was not mentioned. For example, there was no discussion of the importance of fixing problems or identifying hard-to-see technical problems. More significantly, there was no mention of High Reliability Organization (HRO) attributes, a real head-scratcher given that some of the seminal work on HROs was conducted on aircraft carriers. Adm. Eccles' (Navy ret.) presentation**** basically reviews the Navy’s SUBSAFE program and its focus on compliance with program requirements from design through operations. Eccles notes that ignorance, arrogance and complacency are challenges to maintaining an effective program. CSB review of incident-related artifacts includes two of our hot button issues, Process Safety Management action item closure (akin to a CAP) and the repair backlog. (p. 5) Griffon reviews major incidents, e.g., Texas City and Deepwater Horizon. For Deepwater, he notes how certain decisions were (deliberately) incompletely informed, i.e., did not utilize readily available relevant information, and thus are indicative of an inadequate SC. (p. 16) Toward the end Griffon observes that “Safety culture study/change must consider inequalities of power and authority.” (p. 19) That seems obvious but it doesn’t often get said so clearly. We like the CSB’s approach. There is no new information here but it’s a quick read of what basic SC should and shouldn’t be. Sutcliffe discusses how failure to redirect action (in a situation where a change is needed) can result from failure of foresight or sensemaking, or being overcome by dysfunctional momentum. She includes a lengthy example featuring wildland firefighters that illustrates the linkages between cues, voiced concerns, search for disparate perspectives, situational reevaluation and redirected actions. It’s worth a few minutes of your time to flip through these slides. 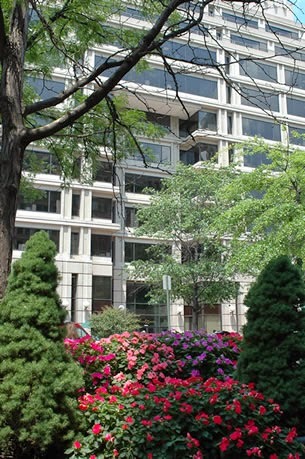 For starters, the Naval Safety Center's activities may be too bureaucratic, with too many initiatives and programs, and focused mainly on compliance with procedures, rules, designs, etc. It’s not clear what SC lessons can be learned from the Navy experience beyond the vital role of leadership in creating a cultural vision and attempting to influence behavior toward that vision. The other presenters added nothing that was not already available to you, either through Safetymatters or from observing SC tidbits in the information soup that flows by everyone these days. * DNFSB Aug. 27, 2014 Public Hearing on Safety Culture and Board Recommendation 2011-1. There is a video of the hearing available. ** K.J. Norton (U.S. Navy), “The Naval Safety Center and Naval Safety Culture,“ presentation to DNFSB (Aug. 27, 2014). **** T. J. Eccles (U.S. Navy ret. ), “A Culture of Safety: Submarine Safety in the U. S. Navy,” presentation to DNFSB (Aug. 27, 2014). ***** M.A. Griffon (Chem. Safety Bd. ), “CSB Investigations and Safety Culture,” presentation to DNFSB (Aug. 27, 2014). ^ Najm Meshkati, “Leadership and Safety Culture: Personal Reflections on Lessons Learned,” presentation to DNFSB (Aug. 27, 2014). 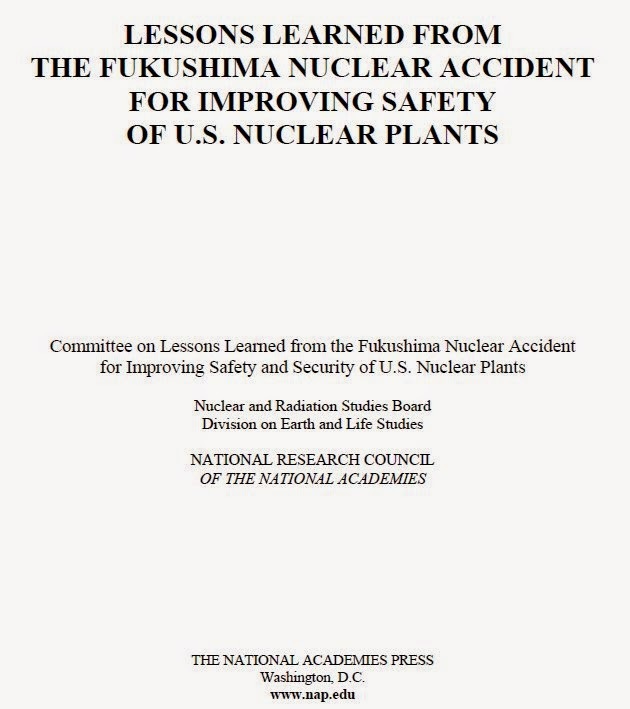 Prof. Meshkati was also the technical advisor to the National Research Council’s safety culture lessons learned from Fukushima report which we reviewed on July 30, 2014. ^^ K.M. Sutcliffe, “Leadership and Safety Culture,” presentation to DNFSB (Aug. 27, 2014).